Women, both Plain Janes and celebrities, are hooked on buying preloved clothes. While price and budget may be the strongest among varied purchase reasons, brand, quality and trendy designs give winning returns for your spent cash. However, one has to consider safety and sanitation too to ensure health. Below are some guidelines on how to transform those vintage clothes into nice, fresh-looking outfits again. Upon setting foot in that vintage store, a strong odor from those preloved clothes, especially leather pants and jackets, will hit your nostrils — a damp, formalin-like smell that could trigger nasal allergies and a sore throat. There may be some vintage products that have enjoyed occasional cleaning from the sellers, but there are some that were quite unfortunate to get little attention and so endured all the dust and moisture for a long time. In such cases, you should put on a face mask when shopping, one that is made of cloth, to avoid inhaling the bad odor and dust. You also need to check for possible rips and tears on second-hand clothes before finally deciding to purchase them. 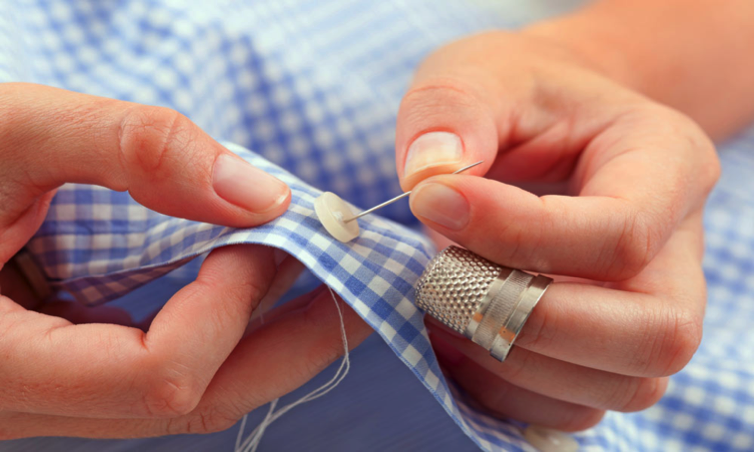 Check whether that torn collar or sleeve needs to be repaired by an expert, which requires a sewing machine, or which can just be hand-sewn. Sewing may be an easy task for some people but not for all. However, getting started with some needlework on that designer preloved shirt may be helped out through a number of tutorials, guides and blogs available all over the web. Here’s a short list of issues you need to check for and how to mend them. ●	Replace missing buttons and zippers. There’s a tendency that the button could pop out of the hole and off your clothes after your have washed it, or the zipper may be looking fine but isn’t capable of holding up anymore. ●	Check if you would need to add or cut away some parts. Some preloved pants may look better when cut and turned into shorts, or those long sleeves could upcycled into three-quarter sleeves instead. ●	Are there holes that can be patched? Patching may be done in two ways, in or out. Also, you can jazz up some denims with floral patches to give them a new look, especially when it's summertime. ●	Does the waistline needs to be altered? If the pant legs just fit you right but are too tight on the waist, have a cloth or garter added on to the waist. If the waist is too big for you, you can get it trimmed down to your size. ●	Check on the possible need for rethreading, especially for trousers. And when you finally take that bag full of second-hand clothes home, cleaning experts suggest to wash all launderable items with water and vinegar, Borax, or baking soda. For clothes that need dewrinkling, steam it with either a standing or travel steamer. Leather jackets, pants and bags should be treated differently though. Take a spray bottle and fill it with white vinegar and lightly spritz the garment. This way, the acid in the vinegar will counter the smell by levelling out the pH of the material. And don’t worry about the vinegar smell, it will just dissipate after a while.